You work so hard, you boil, you broil, you bake, you bbq….then you pull, poke, and chew….UNTIL you get to the heart…of an artichoke. 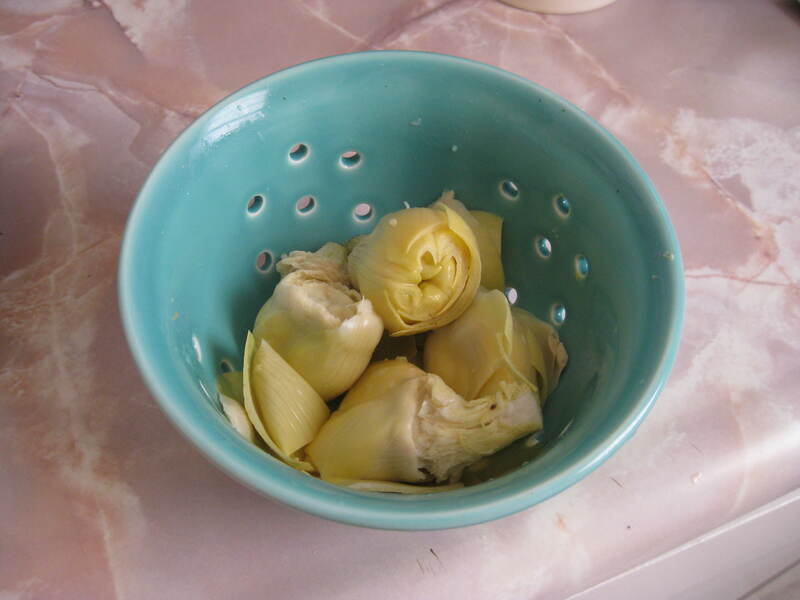 I have to admit, I am the girl who buys artichokes, cooks them, and eats 2 and leave the rest to become this years science fair entry, in the back of the fridge. 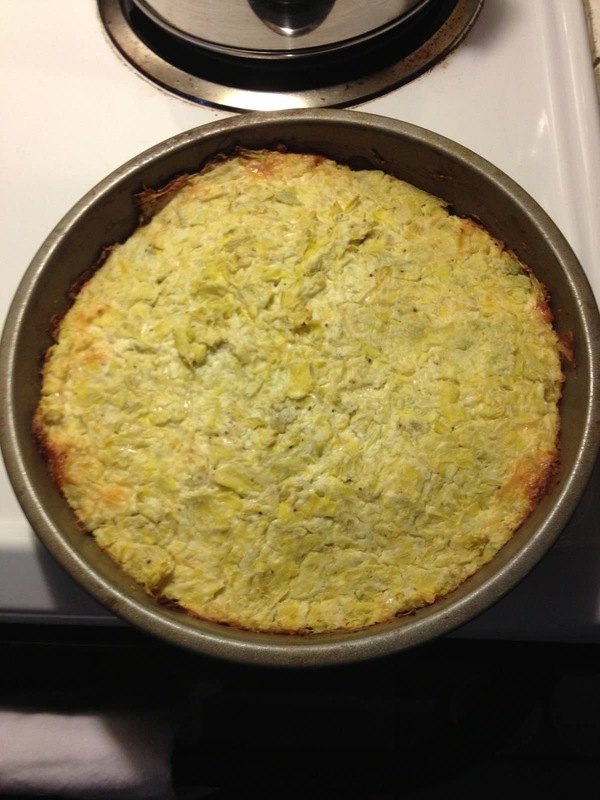 I have tried every recipe on pinterest, and all good, but at the end of the day, just too much work….so this week we have an artichoke dip, that gives you all the love and flavor of these very stubborn, but yummy vegetables. They gave amazing reviews to last weeks, I changed it up a bit and added applewood bacon, not just regular bacon, and it did add just that one touch that it may have been missing. 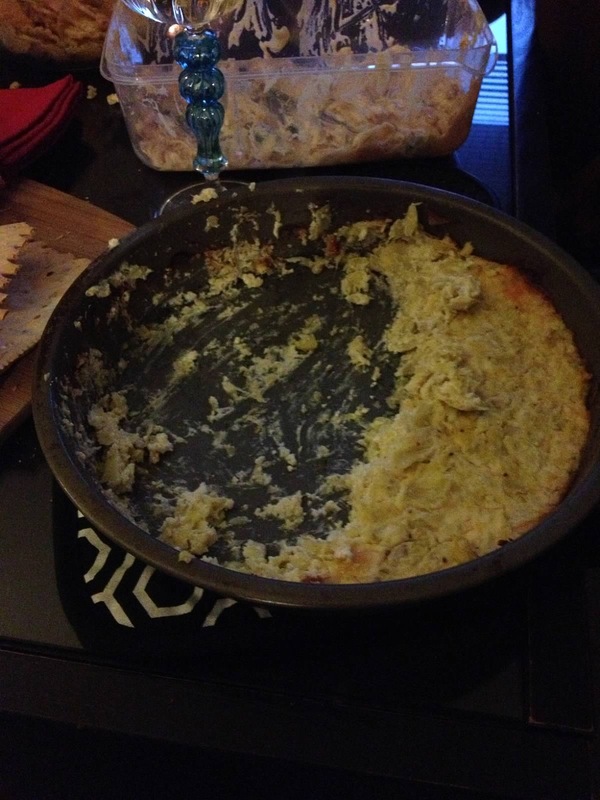 However, this dip, was gone in an instant, total crowd pleaser…here goes. 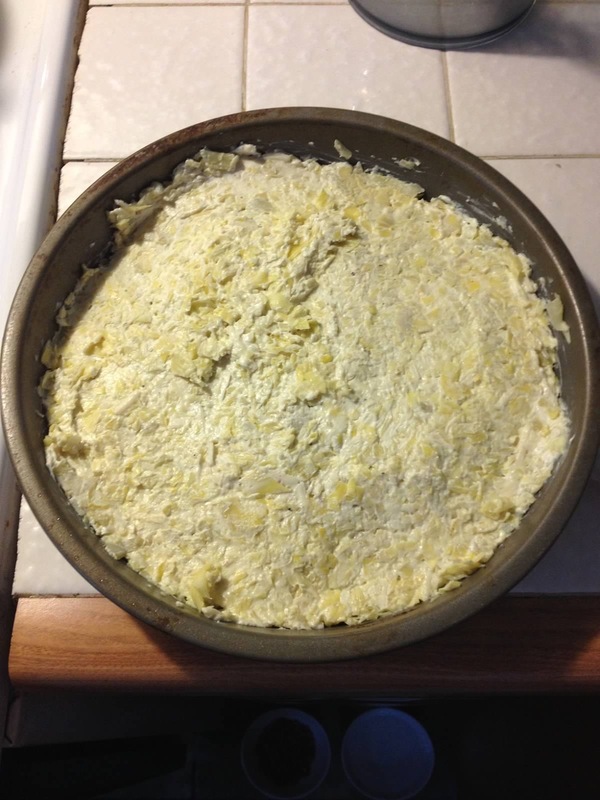 I think the reason I was so excited to find and modify this dip was because it didn’t contain mayonnaise, it’s the devil, and really good for nothing….blech. 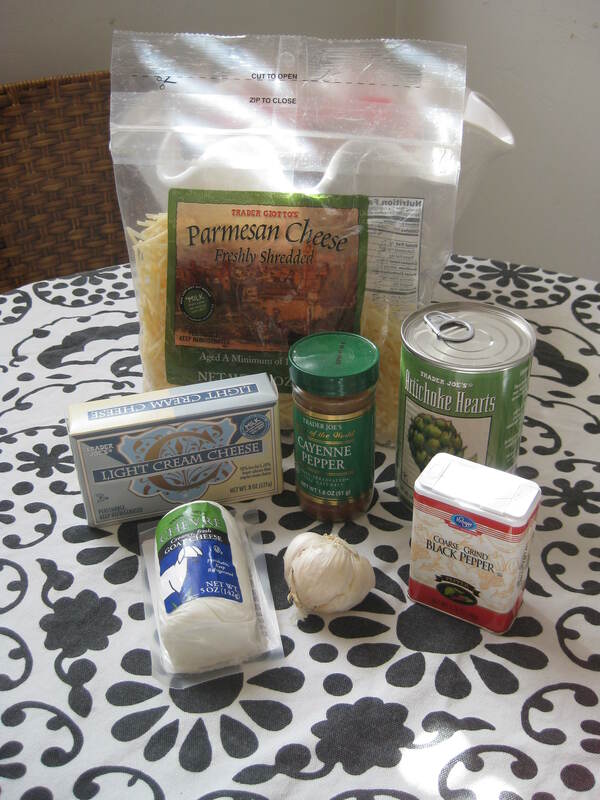 Let all 3 cheeses soften for a bit, I left them on the counter for about 45 minutes, it really made the mixing without a hand blender much easier. 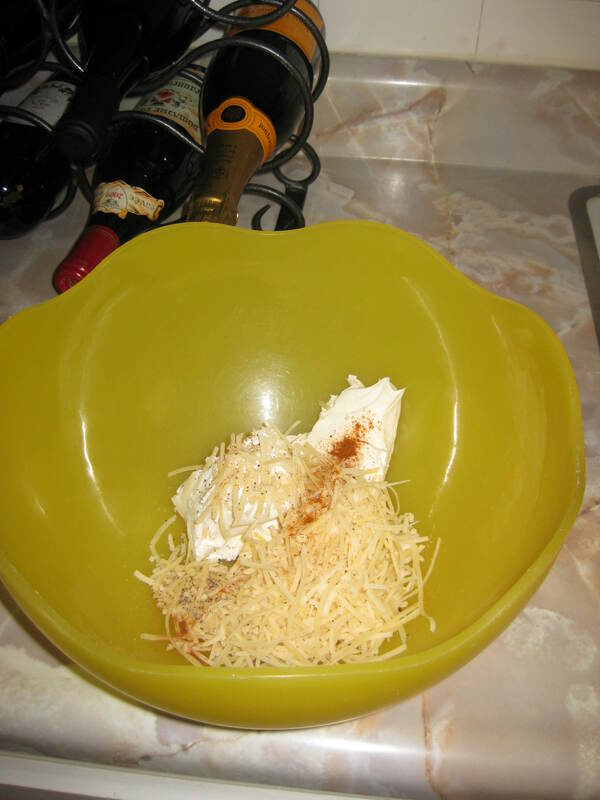 Put all the cheeses, the cayenne, and black pepper together and mix until smooth. 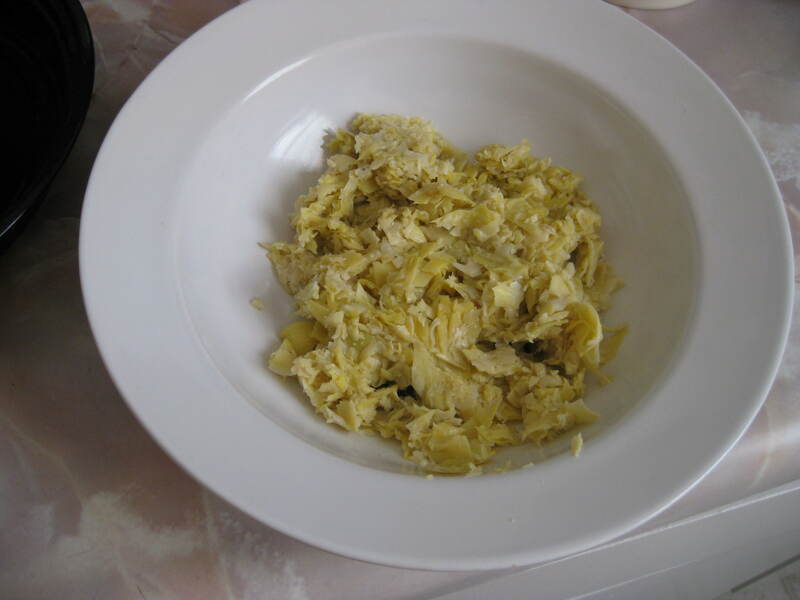 Take your very very drained artichokes and put them in the food processor, mini chop, or if you are confident in your ability to keep all 10 digits on your hands, use a knife….chop coarsley, and fold into cheese mixture. 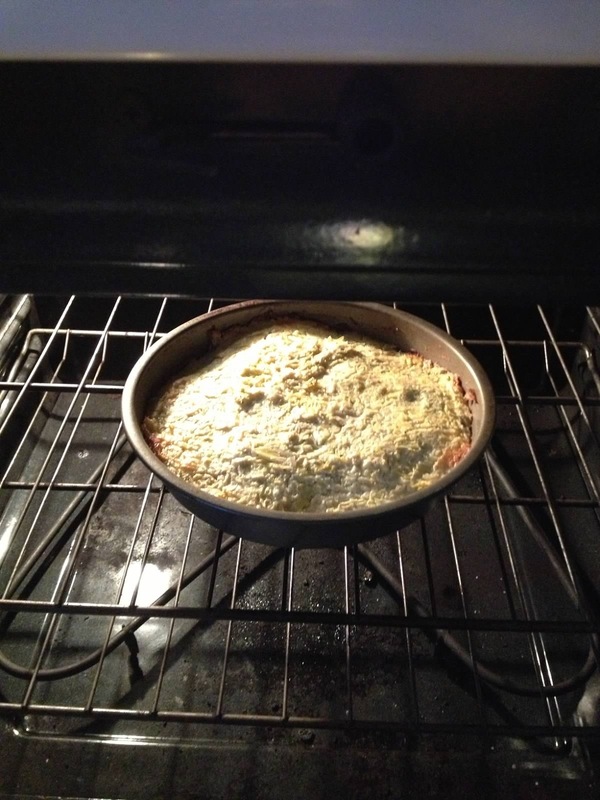 Bake for 25-30 mins until the dip is browned slightly and bubbly. This was one of my favorite dips to make, and this was for sure be served at a party in the near future…..
* next week we have a dip that was requested by a very special man in my life…..wait and see.